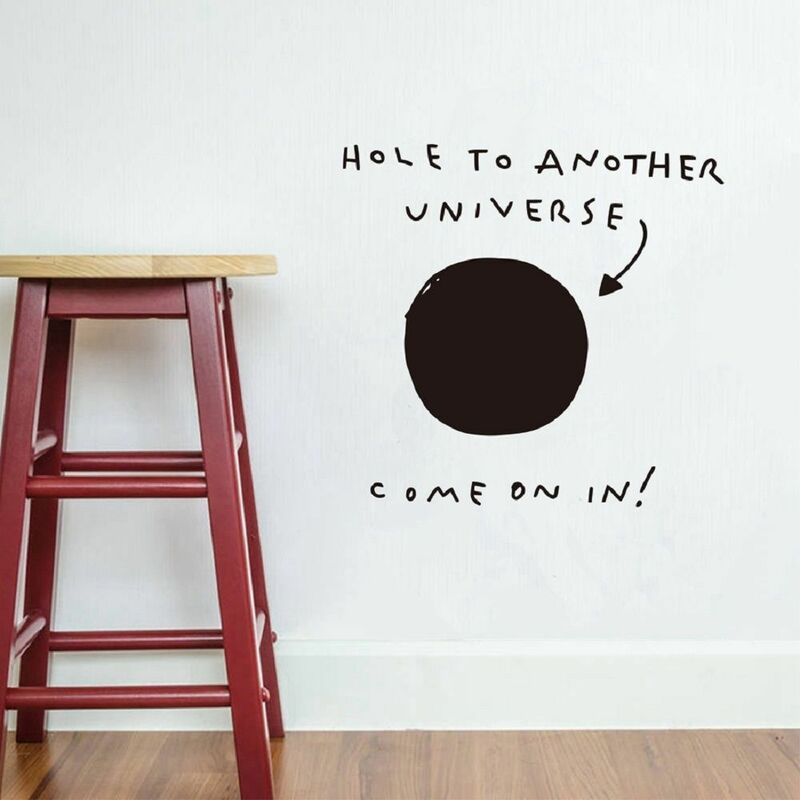 The Hole to Another Universe Wall Decal is brought to you by Blik Wall Decals, and is a part of Dan Golden Studio’s Blik Collection. 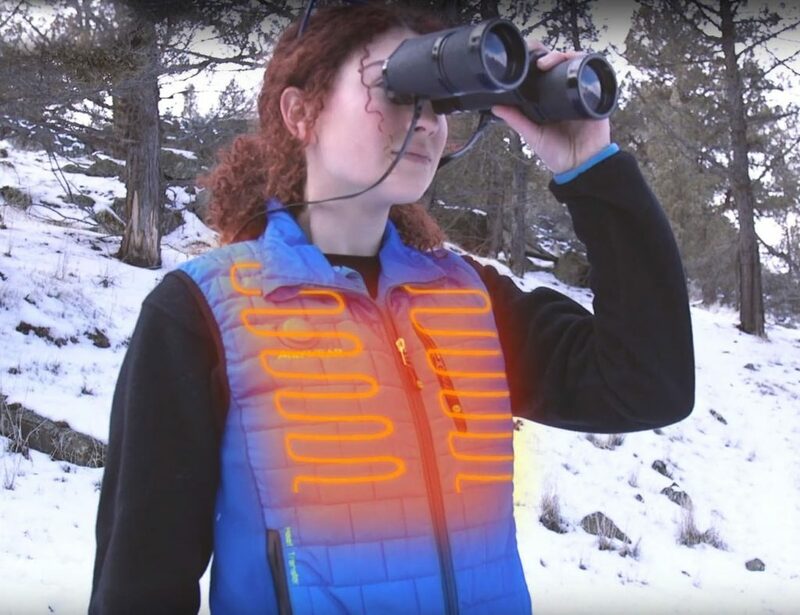 As you can see, it’s a portal that allows earthlings to enter another universe. 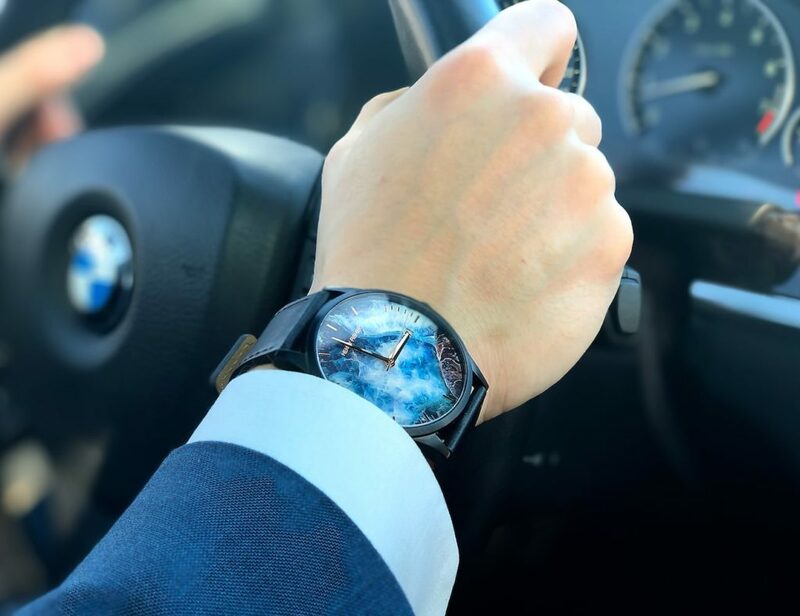 In case you haven’t seen Avengers and other sundry Hollywood blockbusters involving inter-galactic confrontations, a portal is a break in the fabric of time and space that allows you to travel from one world to another. 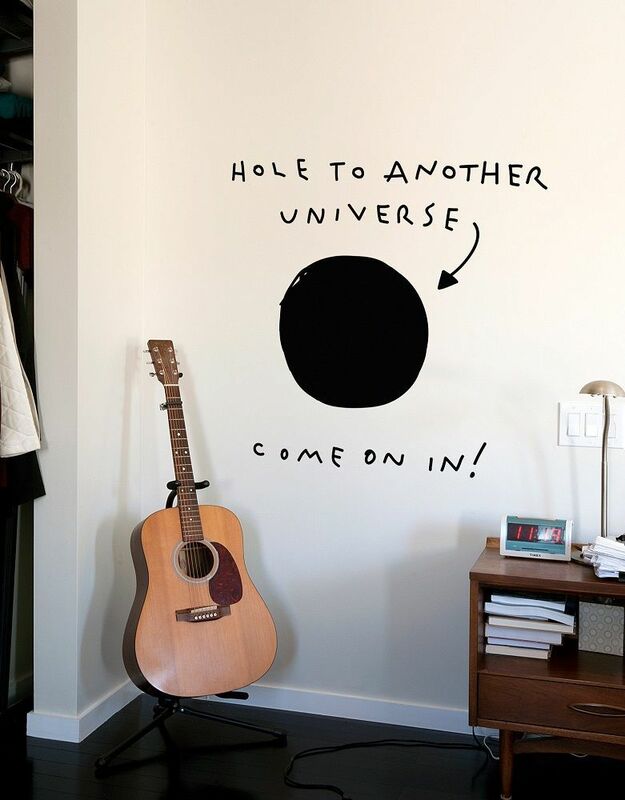 In this case, the portal is on the wall in your room. 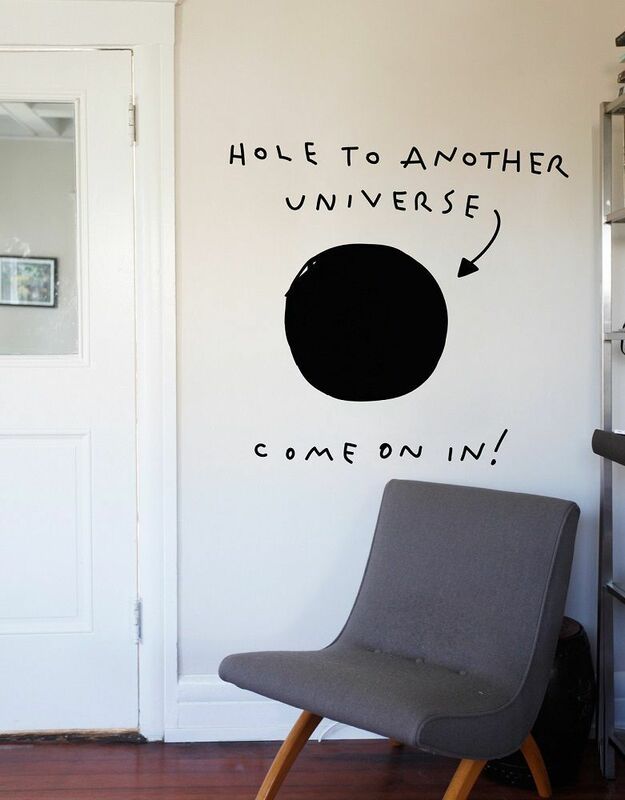 It says “Hole to Another Universe” and invites you in. 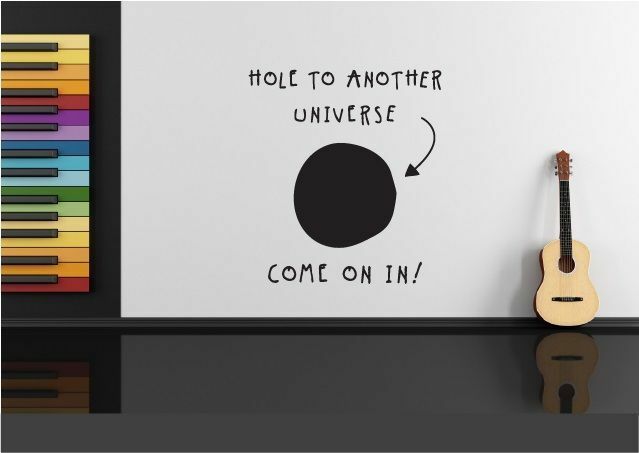 It’s a virtual guarantee that anyone who enters your room will try to poke a finger or nose in to see if it’s really a hole.